Alleged iPhone 5S prototype pictured, is it the real deal? 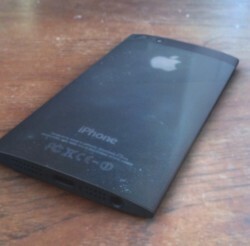 We received some interesting pictures of what is allegedly a prototype of the next Apple iPhone (5S, perhaps). While the pictures aren't of the best quality or taken in studio conditions they do reveal a lot about the pictured smartphone. For one it sheds off the iconic home button and replaces it with a real edge-to-edge display (although we can't see the actual screen underneath). 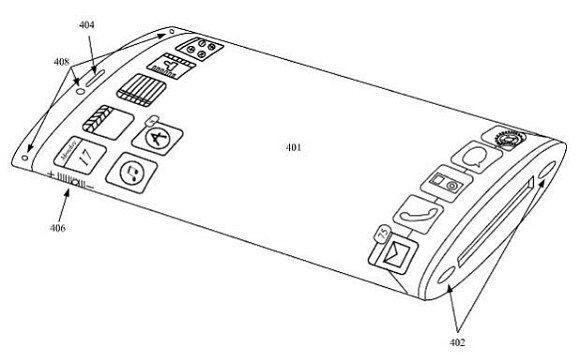 Then there's the design - it's sloped towards the edges, which coincides with a patent application from the Cupertino company that was approved last week. However, we have to note that this kind of design isn't typical of Apple. The company tends to favor more squarish designs, which allow it to make full use of the space within the smartphone's chassis and create more compact devices. We urge you to take these photos with several pinches of salt as the device pictured above could either be photoshopped or even digitally rendered altogether. Even the guy who sent them in couldn't swear by their authenticity. There's one scenario that might make sense here - what you are seeing could be a prototype on which Apple is working. All major manufacturers consider and test a number of different designs before settling on the final version. It might also be a case specially designed to conceal the look of the Apple iPhone 5S, but that seems too much effort - these dev units are usually simple plastic rectangles. A hat tip to our tipster, Fredrick Proll ! 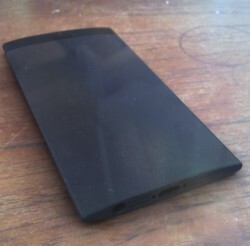 Appearance of this is just like that of the butterfly of HTC.